If you have been following my site may be you saw my previous post about “sports drink” and healthier more nutritious options, if not please take the time to read up my post. 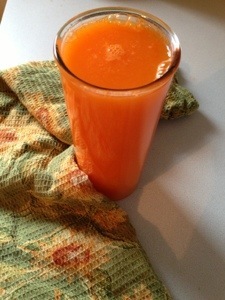 Today I have another GreaterAde recipe to share with you! 😀 I’m not sure if it’s because of all of the amazing health benefits of these ingredients but my goodness I was ready for take off after drinking about half of my batch. 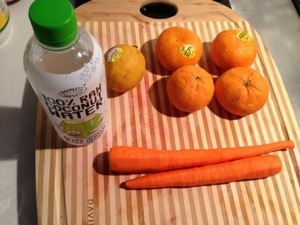 I have a few friends who absolutely love carrots but when it is in a juice form they can not stand it. Lots of times to balance out flavors there is another item that can help balance it out. I personally find carrots to be sweet and slightly savory, so to bump up that sweetness to please others oranges usually does the trick. Plus the color and smoothness is appealing to the eyes. Now to conquer the huge topic of juicing parsley. I’ve been reading more studies lately on how harmful juicing large batches of parsley and cilantro. Like all herbs, it does not take much to feel the effects and health benefits.There is a point where one can over do it according to their body’s chemistry. I am not saying this to scare anyone and I honest to goodness hope this doesn’t give people any dangerously harmful ideas. This is partically why I have been waiting to discuss this topic, with knowledge there is a certain type of power we have over our lives, body and mental health. 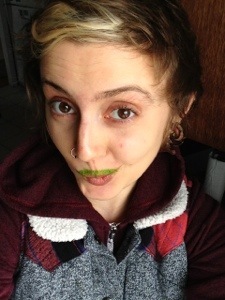 I beg you all to never consume a large quantity of any vegetable, fruit or herb without gradually consuming more of it. For example, I can consume a juice with four beets in it and have no discomfort or loose bowel movements. I say this from a place of honesty, that doesn’t mean that anyone else should or must be at this point. I have been juicing for a long time, and usually beets are rotated around in my meals. If raw beets are new to someone and they were to consume this high quantity they could feel nausea, light headed, suffer from intestinal discomfort anddiarreah. It could even leave one with a “high” feeling and make it difficult to focus. PLEASE listen to your body and literally any gut feeling you may have. I personally recommend only consuming half to a quarter of a raw beet a day if this is something new to your lifestyle. There is a time and place for everything. Be grateful and honored that you are on an amazing journey, you currently are EXACTLY where you need to be. Looking backwards or forwards is not looking within, what is in you is the answer. Going full blast into detoxing can be extremely harmful not just on your body but on your mind and soul. With that being said I feel much more comfortable moving on with this subject. Parsley is an absolutely powerful and healing herb,just like cilantro. They both pull out heavy metals, toxins, great for the kidneys, allergies/breathing issues, accelerates the body’sa bility to repair wounds and bones, bladder health and even to detox the skin. So again, please please please with a cherry on the top be super duper careful! Since these herbs pull out so many toxins, it’s being juiced so your body is completely free to absorb and utilize the nutrients quickly and it’s a massive quantity there are health concerns. If you are trying to conceive, are breast feeding/surrogate milk, have menstruation complications or uterus health concerns PLEASE DO NOT FOLLOW THESE CILANTRO/PARSLEY LEMONADE RECIPES. In parsley there are two oils called Apiol and Myristicin that have been proven to stimulate uterine contractions thus creating a menstrual period. This can cause a miscarriage or premature labor, if you are on any prescriptions related for uterus/menstrual health and so on this may possibly have effects with medicines. The oil Myristicin can also cross the placenta, causing an increased heartbeat in the fetus, and complications with the hemoglobin in baby’s blood. Some other note worthy side effects: hallucinogenic effects, causing giddiness, loss of balance, kidney damage or seizures. When I first started juicing parsley and cilantro I started at roughly half a bunch per juice. Over the years I have built up my body and mind, now I can consume a bunch a day if I want. I do not personally juice a whole bunch everyday and I do not see any need to. There are people who do it for weeks for several allergy purposes, but I personally do not feel comfortable with this idea. Keeping in mind that is my opinion, I am not a doctor or anything of the sorts I recommend parsley/cilantro juice beginners to start off with a quarter to half a bunch of parsley. 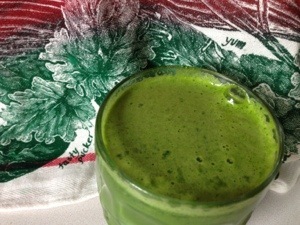 Here is the Alkalizing Parsley Lemonade Recipe I created today. All of these ingredients are super cleansing, green, revitalizing, and aid in balancing our bodies. I have several articles on my site with the health benefits of lemons but a few things I would like to add are that is great for sore throats, kidney care, sinus issues and is a wonderful beauty product (nails, dandruff, lightens hair, lightens age spots). I hope to have a home and beauty care recipe list up asap, with the current weather issues out West it has been extremely difficult to get healthy, firm and nutrient packed lemons among other produce items. « “Sports Drinks” “Purple Drinks” and Healthier Options. My Thoughts On Kombucha &GreaterAde Recipes. 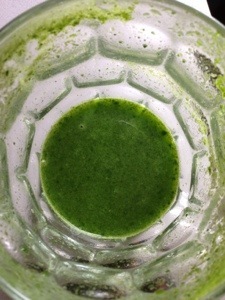 I had my first juice today with parsley, celery, apples, lemon and orange. My heart started pounding and I susprct it is related to the parsley. Definitely one has to be careful about the use of parsley in juicing.